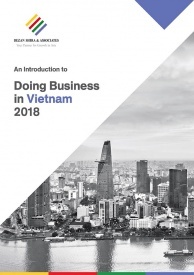 The growth in foreign direct investment in Vietnam, driven by its strategic location, low wages, and improvement in the business environment, is the major factor that transformed Vietnam into a manufacturing hub in the region. In the long-term, this trend is expected to continue if Vietnam is able to maintain its competitive advantages. In addition, FTAs such as the Comprehensive and Progressive Agreement for Trans-Pacific Partnership (CPTPP) and EU-Vietnam FTA (EVFTA) will diversify the export markets for Vietnam. The growth in manufacturing in the second half of 2017, driven by a rise in exports, boosted Vietnam’s GDP growth to 6.8 percent. Goods exports in 2017 grew by 20 percent. However, according to HSBC’s report Navigator: Now, next and how for business, services sector grew faster at 8 percent in 2017. In the services sector, tourism, which accounts for over 60 percent of total services exports, will continue to remain a major contributor to the GDP. The sector’s contribution to GDP is predicted to rise from seven percent in 2017 to 10 percent in 2020. Vietnam’s growth drivers in the near-term will continue to be its low wages, extensive trade agreements, and investor-friendly business environment, which will drive FDI into the country. Demand in Vietnam’s export markets, especially China, Japan, and Korea which account for a third of Vietnam’s merchandise exports will continue to grow in the near-term, according to HSBC. 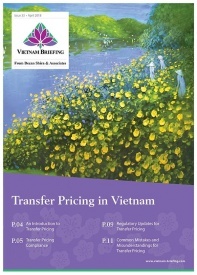 Outside Asia, Vietnam will continue to benefit from growing demand in markets such as the US and EU. Similar to its near-term outlook, Vietnam’s long-term outlook also looks positive, if it manages to remain competitive. According to HSBC, Vietnam’s merchandise exports will grow at 10 percent from 2021 to 2030, while services exports will grow annually at seven percent by 2030. Total exports in 2030 are predicted to reach US$750 billion, four times higher than 2016. ICT will dominate the goods exports, while tourism will lead in the services sector. Electronic goods, which currently account for 27 percent of goods exported, will continue its momentum and account for a third in the incremental growth in merchandise exports by 2030, followed closely by clothing and apparel at 20 percent. In the textiles and ICT segments, Vietnam can also move ahead of India and Bangladesh. Industrial machinery and precisions instruments, which are high-tech goods, will grow but at a slower pace as the country moves higher in the value chain. According to the HSBC study, by 2030, US, China, Korea, Japan, and UAE will be the top export markets for Vietnam. China and the US will contribute around 35 percent to the increase in goods exports between 2017 and 2030 for Vietnam. However, exports to the US will be less diversified than the exports heading to the regional economies in Asia. US will import half of the total clothing exports of Vietnam, while Asia will import 30 percent of ICT goods, and 25 percent of clothing exports. Asian markets such as China, Korea, and Japan will continue to be the growth markets for Vietnam, due to its proximity and strong regional supply-chain linkages. In 2016, 24 percent of the goods imported were industrial machinery, an increase of 18 percent from 2010. According to the study, industrial machinery imports will continue to grow and account for 25 percent of the increase in imports by 2030. In addition, components for ICT equipment and wood & textile manufacturers will account for a fifth of the increase in imports by 2030, while over half of the imported goods will be manufactured goods. The top import markets for Vietnam in 2030 are predicted to be China, Korea, India, Singapore, and Japan. China and Korea, which currently account for 68 percent of all ICT imports and 90 percent of clothing industry’s raw materials, will continue their dominance in the long-term. Japan will be a major source of parts and materials for assembly, while imports from India will grow the fastest by 2030. In services exports, tourism will continue its dominance, accounting for 66 percent of the exports by 2030. Transportation and distribution, driven by an increase in trade and tourism will account for 18 percent of the exports. China, US, Japan, Singapore, and Australia will be the top destinations for Vietnam’s services exports. Other regional economies will continue to grow and increase their share in the exports. India will be the fastest growing services exports market for Vietnam, growing annually 11 percent by 2030, followed closely by China at 10 percent. In the services sector, the government, as well as the domestic firms, need to take full advantage of the rapid growth in tourism. Tourism can create diversified opportunities in different sectors such as F&B, transportation, distribution, and hospitality. As for the manufacturing industry, Vietnam needs to focus on moving higher up in the global value chains, and move away from labor-intensive to skill-intensive processes. This will allow them to remain competitive, diversify exports, and integrate further into the global economy.